I would definitely recommend How to Blog for Profit. The book will benefit both new bloggers and experienced bloggers looking for tips to improve their blogs. Ruth describes it as tools to reach your goals. How to Blog for Profit follows Ruth’s journey from financial despair to financial stability enabling her husband to leave a career he disliked. I started a blog and did not have a clue what to do with it. Thankfully I stumbled onto this enlightening book. 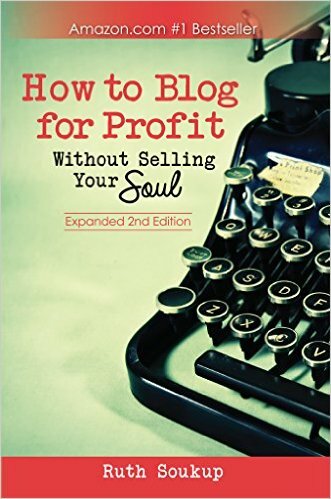 I mainly read and re-read the first half of the book, these chapters were on blogging, not making a profit. 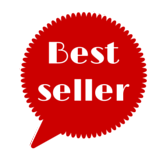 May I suggest for the serious blogger that you skim the book to get an idea what you are aiming for. Then go back and study, implementing ideas to prepare your blog to make a profit. Next take what you want from the chapters on making a profit. Ruth started blogging to curb her addiction to overspending and the destructive and constant arguing over money with her husband. She determined to use this blog to keep herself and her spending, accountable. She then set her goal to make a living from blogging. One of the outstanding principals is that she did not just rely on others for ideas, she was brave enough to dream and follow her dreams with actions. She came to this realization, “Feeling like I wasn’t good enough and trying to emulate other people’s success had paralyzed me.” She stopped comparing her emerging blog with well-established blogs. Which is not an even playing field. Ruth makes it clear from the beginning that if you want to blog for profit, you are wasting your time unless you have a self-hosted site. She recommends WordPress.org as the industry standard. To make a profit depends on the foundation of a great blog with your awesome content. I highly recommend this authentic book. Below is another of her books that you will find very helpful and interesting.